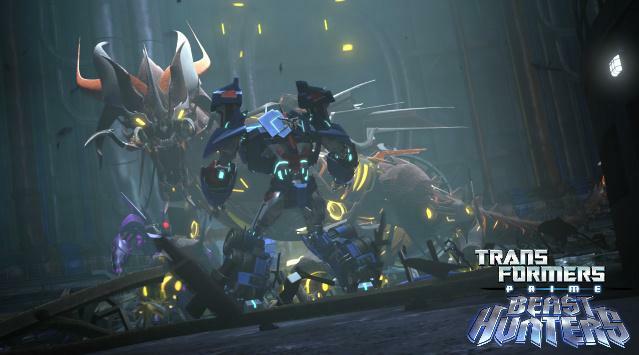 Transformers Prime is nearing the end of its run as episode 10 "Persuasion" airs on The Hub Friday at 7:30pm. 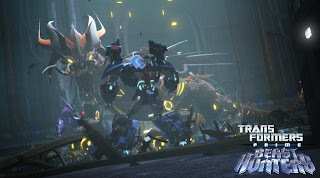 In the episode Megatron interrogates Ratchet, captured in the previous episode by Soundwave as Optimus Prime takes on Predaking. The promo and clip from the episode is below. 07/19 - Synthesis (3.12) - Autobots attempt to rescue one of their own by tracking a Decepticon warship. 07/26 - Deadlock (3.13) - The Autobots face the Decepticons for a last showdown.